Granulati Zandobbio is the representative point for the production and distribution of a wide range of products for landscape architecture: sintered stone, porcelain stoneware and natural stone pavings, claddings, monolithes and decorative products for garden and outdoor spaces which reach their cutting edge in STONE CITY, the exhibition green park of 7000 m² located in Bolgare, Bergamo. Nowadays the activity of Granulati Zandobbio faces 70% the foreign market with exports to 80 different countries. one of the companies that defeated the crisis, increasing its business and hiring people. STONE CITY is a magical eye-catching and suggestive space, source of inspiration for each visitor, who loves landscape architectur: this space let people discover the best architectural solutions for outdoor areas created with products designed by Granulati. The idea of this area goes beyond the concept of a showroom in the open air. This is a park enhaced by several precious plants and essences, where the role of the water, lights and sounds become more and more relevant in decorating modern outdoor spaces. 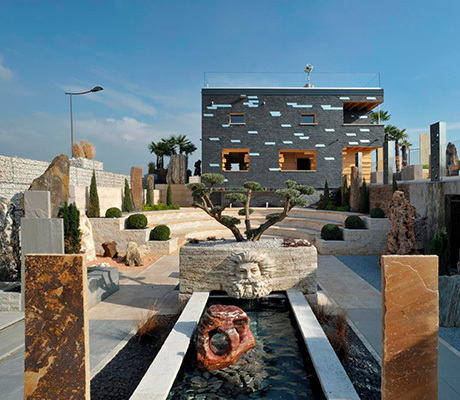 Visit STONE CITY, unique exhibition in Europe for the outdoor landscape design. 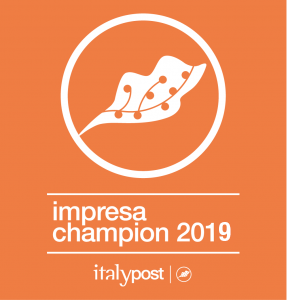 Four generations of entrepreneurs have been working in the company since 1929 quarrying in the township of Zandobbio in the province of Bergamo. Production and storage take place on 5 distinct sites on premises extending over more than 200 thousand square metres. Gino Sottocornola, the great grandfather of the current owners, managed the Alta Val Brembana cement work but when it closed he started up on his own and in 1929 he opened a warehouse for inert products in the centre of Bergamo, in via Borgo Palazzo, and started to produce and distribute insert products for local cement businesses. The business relocated to near the historic centre of Zandobbio (Mulino district). The first Zandobbio quarry was opened there to produce Zandobbio marble chippings. The business moved from the centre of the town to the outlying district of Selva di Zandobbio (Santa Anna), where quarrying still takes place. Another two production facilities were opened in Zandobbio (in Carecchio and in Madonne della Neve) to grind coloured marble to produce cement tiles. Another three small quarries near the existing one in Santa Anna were acquired. One large quarry was thus created that is still used today. The first modern grinding plant was installed to meet the growing demand from the glass, paint and adhesives industries. All the existing plants were dismantled to create a new technologically cutting-edge plant: the new plant would be positioned in the lower part of the quarry, a strategic position in terms of visual and acoustic impact. The plants for producing marble chippings were modernised and the first pebble production plant was set up. The pebble production plant was overhauled, the features of which still place it in the vanguard and make it unique in Europe. In Zandobbio, the storage facilities for raw materials and finished products were increased from 20,000 to 50,000 square metres. On 1 January Granulati Zandobbio srl, a limited liability company, became an SpA (joint-stock company). Acquisition of site of Marmi Mecca (which was the world’s largest producer of marble chippings in the 1960s): 50,000 square metres in a strategic area on the A4 Milan-Venice motorway. 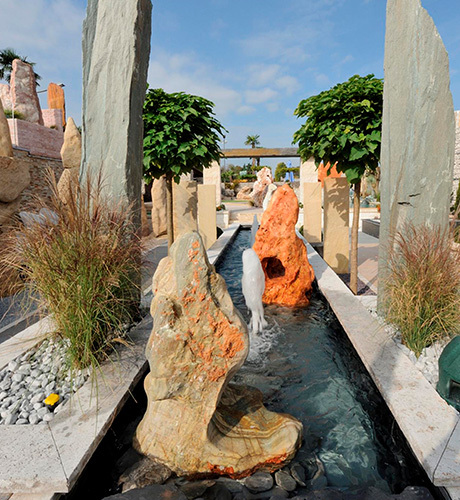 Creation of StoneCity, a permanent exhibition extending over 3,000 square metres showing the best settings created with Granulati Zandobbio natural stone products. The only area of its kind anywhere in the world. The third generation pebble production plant was built. It is completely automated and incorporates sustainability that respects the environment and workers. STONE CITY is a great marketing and communication tool and becomes a multi-purpose structure of 5000 square meters, now able to provide an increasingly efficient service to its customers and visitors by hosting every type of event. L’ALTRA PIETRA is born the brand with registered trademark of outdoor porcelain stoneware flooring with the widest range on the market of this category. The remaining portion of the square of the former Marmi Mecca is acquired. The Bolgare site, now 120,000 square meters, is destined to become the logistic heart of the company. STONE CITY becomes second sponsor of Atalanta Bergamasca Calcio. + 2000 mq of sintered stone and porcelain stoneware pavings.